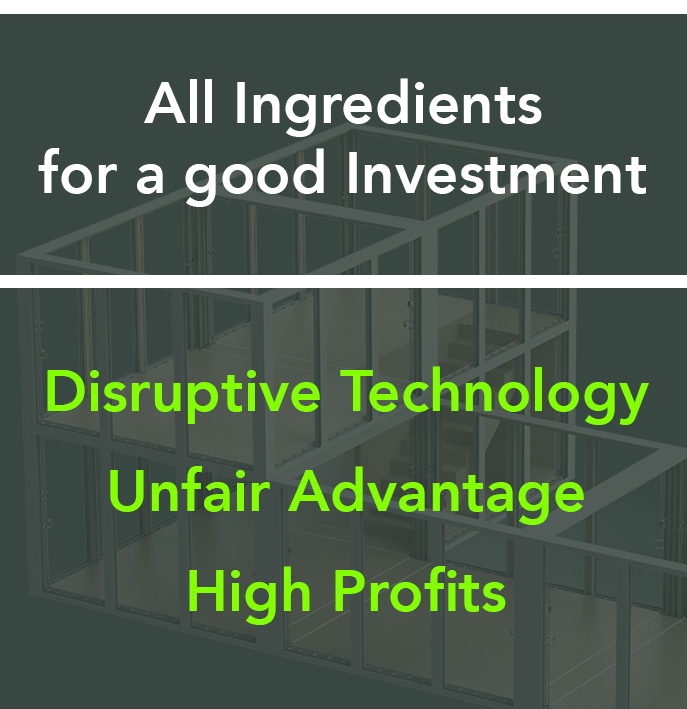 Invest in our new affordable housing technology! Please explore the website first to learn about the product, before continuing with the investment section. MMC-3 is about to introduce a modular technology which will lower the cost of housing, shelters and airline containers to a price point never achieved before. Owning a small house for $14,750 became reality. Offering apartments for $250 per month and still being profitable is the dream of every developer. We have a solution for the growing affordable housing crisis in many countries. Many people are spending half of their income on housing cost. Local governments don't have the funds to subsidize it anymore. Your investment will be very profitable. You will help solving the housing problem for many families worldwide. Our modular housing technology was developed during our research program to develop affordable triple threat shelters. This is the reason that our buildings are stronger than many more expensive buildings. You will have the opportunity to grow your investment with our other products. We will introduce affordable triple threat buildings for as low as $38,000. Those buildings will withstand M16 bullets, 3,000 lb of dynamite or 30 min of forced entry attempts. Our technology can be used to build fire and blast resisting ULD's (airline containers). The cost for those ULD's will be less than standard non secure containers. © 2018 MMC-3. All Rights Reserved.